The first chapter of a well-rounded financial education is the area of personal finance. Here, you will learn the basics of managing your money. You will learn how to determine exactly how much you and your family earn and spend, how to properly budget those figures, and how to begin saving. The first step in understanding your finances better is to fully understand how much money you and your family are bringing in each month. If you are employed, you already know that the wage you were hired at is not the same figure you take home each month. This is because your gross pay (your hourly or salaried wages) is paid out before deductions, like taxes, are accounted for. What you actually take home is called your net pay, which represents your gross income minus taxes and other items like deductions and credits. These are your employment earnings, which is the amount you make at your job. It’s important to know the exact net amount you and your family bring in monthly from this income type. Some people have additional deductions they have to figure in when determining their exact take home amount. These include items like insurance deductions and 401 (k) contributions. Be sure to fully review paycheck stubs to ensure you are calculating your take home income accurately. Other wages include those earned from self-employed individuals. A popular type of self-employment is the independent contractor. This would essentially cover the income of people that are working on a contracted basis, not as a traditional employee. The IRS has some information regarding defining this role here. This income is still taxed is differently than an employee. Companies do not pay any payroll tax or withhold any tax liability for the payee when paying subcontractors that are self-employed. If you are working in this capacity, it’s important to remember that you will be responsible for both the income taxes and the self-employment taxes on your income. Taxes for self-employed individuals are generally paid quarterly. 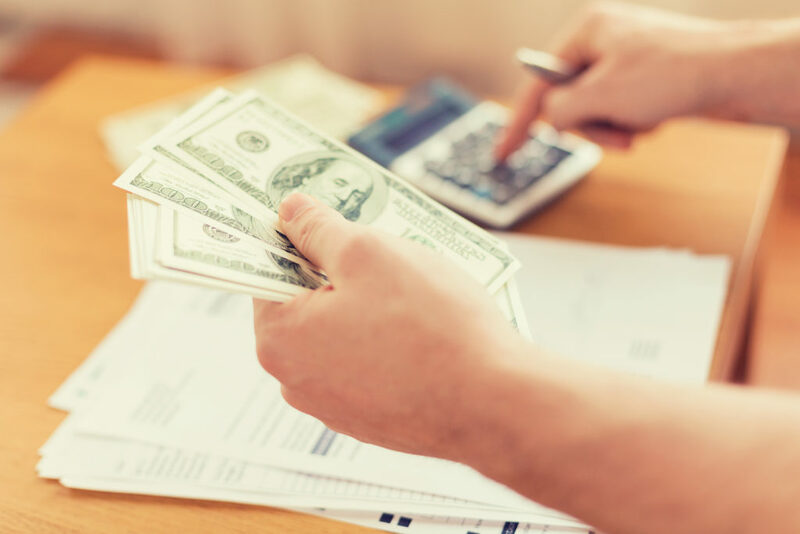 In order to determine what your net income will end up being, you’ll need to determine your tax rate and deduct the amount you’ll need to pay the IRS from the income you receive. You can learn more about this here. Other forms of Self-Employment income include Sole Proprietorship. This is essentially the same as an Independent Contractor, but is considered a type of business for income tax purposes (where an independent contractor is considered the opposite of an employee for payroll tax purposes). On a more complicated scale tax-wise, there’s also income generated from owning part of or an entire business. It’s generally a good idea to enlist the help of a Certified Public Accountant in these more complex income situations. The businesses help page on the IRS website (https://www.irs.gov/businesses) is a good place to learn more. There you will find an entire tax center dedicated to self-employed individuals. Social Security is Federal program designed to offer social insurance and benefits to American workers and the disabled. There are essentially two main types of Social Security benefits: Retirement and Disability. People who paid into Social Security when they worked receive Social Security income when they retire. The amount they receive is based on the average wages they earned over the lifetime of their work. There are some age restrictions around the retirement benefit, which can be viewed here. Death and Survivorship benefits extend to the spouses of deceased retirees. Spouses are eligible to receive Social Security benefits even if they have very little or no work history. In some situations, divorced spouses and even children may qualify to receive benefits. These all fall under the retirement benefit, but become a little more complex. AARP created a great Q & A page that breaks down these types down, which you can view here. There are essentially two types of disability social security benefits, which are SSDI (Social Security Disability Income) and SSI (Supplemental Security Income). Social Security defines disability thoroughly here. They also offer a screening tool, which you can access here, that will helps people find out which programs may be able to pay them benefits. SSDI is available to people who have collected the necessary number of work credits throughout their work history. This program is funded through payroll taxes. The number of years worked and contributions made by the worker qualifies them to be “insured” by this program. Spouses and children are eligible to receive “auxiliary benefits”, which is a partial dependent payment. Social Security only pays for total disability, not partial or short term, and there is a five month wait from the time you apply (SSA won’t pay benefits for the first five months after an individual becomes disabled). There are both medical and non-medical requirements. Many applicants report that the process of applying is stringent, lengthy, and often times takes at least one level of appeal (meaning many first time applications get denied). There are attorney’s that specialize in Social Security law that help individuals with these cases, especially appealing after a denial. They typically earn their fee through contingency, which means they are paid a percentage of the individual’s earnings (often back pay). Once approved, the amount of the monthly benefit works similarly to the retirement benefit, as it depends on the person’s earning record. Another federal insurance program, Medicare, becomes available to two years. Unlike SSDI, Supplemental Security Income, or SSI, is not paid form the Social Security trust fund and is not dependent on work history. This program is based on solely on the individual’s needs and is only available to people with a very limited income, assets, and resources. These benefits are available to both disabled children and adults that meet the criteria. People who are eligible for this benefit can also receive Medicaid insurance, and most will also qualify for other relief programs such as food stamps. The SSA offers more information here. Some people earn money from other sources, such as rental properties, unemployment compensation, lottery winnings, and gifts. These should all be considered as part of your total income when reviewing your total earnings. Now that you understand how much money you have coming in each month, it’s time to take a closer look at what is going out. Tracking all of your expenses is the next step you’ll need to take towards creating your budget. Many people think they know how much they spend each month, but are surprised by the actual figure they arrive at after writing it all down. You may know the exact number of your fixed monthly bills, but neglect to factor in purchases such as food and fuel. If you find that more cash is going out than you have coming in, this is a crucial step in gaining control over your spending. Grab your bank and credit card statements Having the last few months’ financial statements on hand during this process is helpful. Include the statements from all of the accounts you spend money from. You’ll be able to see exactly where your money is going by identifying regular spending habits. This will shine a light on your actual spending. Many people think they are spending one amount on monthly on groceries, for instance, but after reviewing their bank statement, they see many more transactions at their local grocery store than they expected. This exercise alone can be extremely beneficial in getting a handle on spending. Make a simple list of all of your monthly expense Start with your recurring living expenses, like your rent or mortgage, your car payment, and your utilities. Write down everything you know you spend monthly. Continue by adding variable expenses like groceries, gas, clothing, and other necessities. Here’s where referring to your bank and credit card statements can help find a realistic number to write down in these categories. This is also a great way to quickly find patterns in your spending. This exercise will get you acquainted with your spending habits as you move towards step three, where you will track them daily. Track your expenses for thirty days Spending the next month tracking all of your spending will allow you to organize the list you just made in a formal expenses worksheet. OFFER 30 DAY EXPENSE WORKSHEET. For thirty days, keep a detailed log of what you spend each day. Track everything from your daily coffee to your regular bills. At this point, it’s up to you to take a thorough inventory of your expenses. After thirty days, look over your expenses worksheet with a fine tooth comb. Really think about how you’ve been spending. Think about what you have to show for your spending. At this point, many people find it extremely helpful to develop a vision of what they want their financial future to look like. It’s much easier to get your spending in check when you have big financial dreams that you are working towards through spending less. Next up, you’ll create your budget. Fixed expenses: These are your absolute necessities. They are the monthly expenses that are the same amount each month, like your rent or mortgage, your car payment, and your insurance. In order to save any money on these expenses, you will usually have to make very big changes, like moving to a less expensive home. Flexible expenses: These are the expenses for things that are as necessary as your fixed expenses, but the amount will usually vary from month to month. Items in this category include things like your utility bill and your groceries. Lowering the cost of these things is easier than your fixed expenses in that the changes it requires to reduce the amount are not as severe. But you will need to change your habits by doing things like not keeping it so cool in your house in the summer months (or keeping the heater lower in winter months), buying generic products, and using coupons. Once you have your budget completed, you will know the amount you have to spend in this area, so you will know where adjusting your habits will make the most sense. Discretionary expenses: These expenses are less need and more want. You choose to spend in this area by eating out, going to the movies, and buying clothes and personal items that don’t truly need. Anything that’s not a true necessity falls into this category. You have total control over how much you spend in this area. You may find that a lot of your money is being spent here and, if so, you will be amazed at how much you can save by making simple changes in your spending choices. Simply put, you cannot spend more than you earn and succeed financially. You also have to save money. Carving out money for discretionary expenses can only be done if you have money left over after you spend your income on the other two categories. Substitute expensive discretionary spending with cheaper and sometimes free alternatives. Our saving strategies section has some ideas to help you get started. Step 2: Review and Create Review the spending worksheet you completed in step one. It’s time to iron out what you can afford to spend each month. Now that you’ve separated your spending into categories, you’ll need to set a budgeted amount for each one. Set goals in your expense categories that reflect reducing your spending in the areas you determined you were overspending in. You can use our budget spreadsheet , or make a simple list that includes your income at the top (as identified earlier), followed below that by your expenses, listed line by line, separated by category. Underneath your expense list, make a line that totals your expenses (add them up and list that number there). Below this, make a final line that lists your total income less your total expenses. That number is the amount you have left over each month. You’ll work and re-work the amounts in your spending categories until your total expenses are less than your total income. Remember, the goal is to have money left over to contribute to savings. 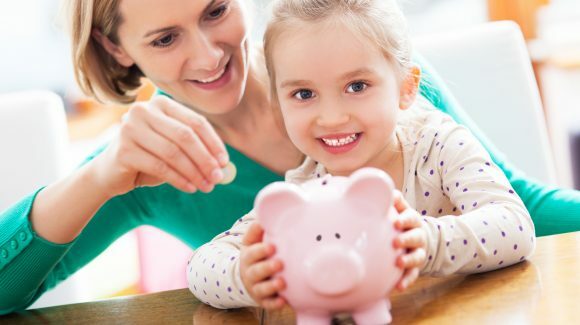 A note on savings: saving for the future is an important element of financial success, but you may find initially that there doesn’t seem to be enough money left over to do so. It’s ok to start small. When just beginning this process, try to set a goal of saving 10% of your income. You can work backwards here by first identifying what’s left over on your bottom line (in our worksheet, the “Income Less Expenses” number). If that number is less than 10% of your total income, consider reviewing your expenses again and seeing if there are any areas you can still cut back on. Remember, any number that is left over will represent the amount you should save each month. More on savings in the “Savings Strategy” section. Step 3: Initiate monthly reviews Make time at the beginning of each month to review the prior month’s budget. Compare your actual income and spending to your budgeted amounts. Were there many differences? What were they? There will be months where emergencies occur. Ultimately, this is what savings is for. You will get there. The important thing is to adjust spending as much as you can to recover in the following months. Remember, positive changes happen too. Increasing your income by picking up additional hours at work or finding side jobs is a great way to get back on track. The important thing now is that you have identified the tools you need to be engaged with your financial life on a consistent basis. Why we save Becoming financially stable is a big reason to save money. There are many different things that people choose to save for. Common areas to save for include emergency funds, getting out of debt, big purchases like a vehicle or home, starting a family, vacations, and retirement. Everyone has different goals and dreams and it’s important to identify those for yourself. A clear picture of what you want to accomplish in the future helps keep you on track now to meet those goals. Saving for emergencies One area of savings that everyone will have in common is emergency funds. Emergencies are unpredictable and will likely happen to all of us at some point. Being prepared for them can help alleviate their impact on your financial stability. What does it mean to have an “emergency fund”? An emergency fund means that you maintain a separate account where money is kept to offset expenses that arise from unexpected situations. This money is separate from the funds you use to save for the future. This money is tapped into when major financial catastrophes occur. Where should the money be kept? The best place to keep the money is where you can access it immediately. Because there will be more deposits than withdrawals in an account like this, it’s ideal to find an account type that earns some interest, like a savings account. Be careful to ensure that the account doesn’t charge you penalties for occasional withdraws. How much money needs to be in the fund? This varies from person to person depending on factors such as family size and lifestyle. Most experts agree that a safe bet is to keep three to six months’ worth of expenses in this account. It’s ok to start small and work your way up to this amount. The real goal is to consistently budget in contributions to this account. When you review your budget monthly, find ways to cut back so that you can divert spending money into savings. If you have no savings yet at all, start with the emergency fund. Don’t contribute money left over in your budget to any other type of savings until your emergency fund reaches the three to six months’ worth of expenses mark. When an emergency arises and you need to use these funds, remember to begin replenishing the account as soon as possible. Saving to get out of debt If you have credit card or other interest bearing debt (aside from fixed rate debts like mortgage and auto loans), the second most important place to save is getting out of that debt. Consider that you everything you purchase on credit accrues interest. You are paying in excess to maintain debt, it’s that simple. Just like you can save by not spending on credit, you can save to pay down the money already used on credit. A fund to pay down these debts can save you twice over in that respect. Many people use credit cards for emergencies. This is why funding your emergency fund should come first. Once you’ve achieved that, most financial experts will agree that the next place your excess funds should go to is your debt. In the same manner you saved for your emergency fund, save to pay off your debts. The only difference here will be that this savings will be withdrawn each month to pay each creditor in excess of your minimum monthly payments. The smartest way to do this is to start with the debt that bears the highest interest and work your way down until all of your interest bearing debt is paid off. Saving for the future Establishing an emergency fund and paying off your interest bearing debts are big goals in themselves. Once reached them, you can begin to save towards other future goals that are important to you. Future financial goals differ from person to person. Many people find that splitting their savings up amongst a few different goals is helpful. Diversifying your savings in this way allows you to save for short and long term goals, and allows you to contribute to important areas such as retirement while still saving for more immediate goals like purchasing a home or car. Setting specific goals By sitting down and setting specific goals, you will be able to see exactly how much you’ll need for each goal and how long each will take. For something like retirement, which is a bit more complex, you will want to enlist the help of a financial planner. There are many different ways to earn interest on your money and there are variables like 401K savings and potential pension earnings to consider. For other savings goals, decide on what you want to save for and how much you’ll need. How long it will take to get there will depend on how much you can afford. Be realistic and consult your budget to determine this. An easy and manageable way to save for a goal is to figure out how much you’ll need to save monthly. For example, let’s say you want to save $1,000 to buy a new washer and dryer. You review your budget and determine that you can afford to save $100/month towards this goal. This means it will take ten months to be achieve this goal. Reaching your goals faster Let’s assume you are already sticking to budget each month. There are still ways you can reach your savings goals faster. The secret is to find ways to achieve savings on what you are already spending while actively looking for ways to earn more money. Here are some tips to help you. If you’ve budgeted buying lunch during the week, you can save around $20/week, which equates to $80/month, by bringing your own lunch to work three times per week. Save around $10/week by switching your budget from buying your coffee out each morning to brewing your own at home. This equates to around $40/month. If you currently pay for premium cable TV, consider switching to a less expensive subscription based service like Netflix. You can save around $25/month this way on your utility budget this way. Packing your own snacks and cooking dinner at home tends to save people at least $200/month. If you have a line item for dining out in your budget, consider skipping it for the duration of your savings goal. In cases like our washer and dryer example, you could reach this goal in half the time without contributing additional funds by doing this alone. 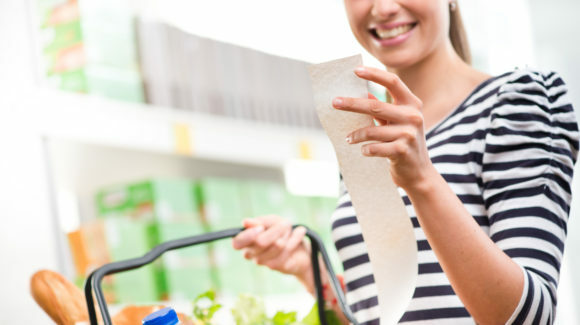 If you haven’t already, begin to buy generic brands and look for coupons. Many people buy brands they are used to and don’t look at savings circulars at the store. In most cases, this can save at least $20/month. When possible, pick up extra shifts at work or ask if there are additional projects that you can work on for extra money. Look for extra income through a part-time second job. Clean out your home and identify items that you can sell. Garage sales are great, but many people find success using free apps and social media groups to identify local buyers. Get into a saving mentality Once you’ve committed to a lifestyle that allows you to save money, commit to practicing behaviors that are consistent with a serious saver. Find meaning in the time you spend with friends or family through free activities like going to the park or beach. Remove yourself from offers sent by mail or e-mail from stores you like so you aren’t tempted to spend on unnecessary items at sale times. Replace pastimes that include spending money with cheaper or free options, like picnics out instead of lunch out on the weekends. Changing your mindset about spending money will not only help you reach your financial goals, but it will help you focus on the more meaningful things that money can’t buy. Feeling overwhelmed? Help is available for many common financial problems! 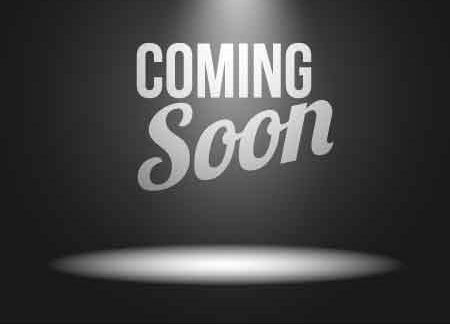 Articles on Credit and Debt, Personal Finance, and Education are coming soon! Check back frequently.